The economy of the Democratic Republic of the Congo - a nation endowed with vast potential wealth - is slowly recovering from decades of decline. Systemic corruption since independence in 1960 and conflict that began in May 1997 has dramatically reduced national output and government revenue, increased external debt, and resulted in the deaths of more than 5 million people from violence, famine, and disease. Foreign businesses curtailed operations due to uncertainty about the outcome of the conflict, lack of infrastructure, and the difficult operating environment. Conditions began to improve in late 2002 with the withdrawal of a large portion of the invading foreign troops. 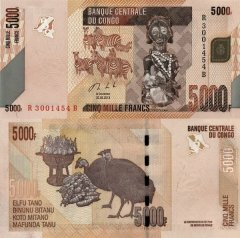 The transitional government reopened relations with international financial institutions and international donors, and President KABILA began implementing reforms. 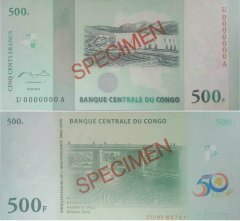 Progress has been slow and the International Monetary Fund curtailed their program for the DRC at the end of March 2006 because of fiscal overruns. Much economic activity still occurs in the informal sector, and is not reflected in GDP data. Renewed activity in the mining sector, the source of most export income, boosted Kinshasa's fiscal position and GDP growth from 2006-2008, however, the government's review of mining contracts that began in 2006, combined with a fall in world market prices for the DRC's key mineral exports temporarily weakened output in 2009, leading to a balance of payments crisis. The recovery in mineral prices beginning in mid 2009 boosted mineral exports, and emergency funds from the IMF boosted foreign reserves. An uncertain legal framework, corruption, and a lack of transparency in government policy are long-term problems for the mining sector and for the economy as a whole. The global recession cut economic growth in 2009 to less than half its 2008 level, but growth returned to 6% in 2010. 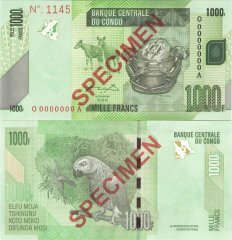 The DRC signed a Poverty Reduction and Growth Facility with the IMF in 2009 and received $12 billion in multilateral and bilateral debt relief in 2010.